Wherever you need sound control, especially in locations that are plagued by reverberations and low-frequency sound interference, you can benefit from our 3-inch aqua pyramid acoustic foam. From recording studios where heavy bass can ruin your recording to children’s rooms where harsh noises can disrupt sleep and keep you and your young ones up all night, this 3-inch aqua pyramid studio foam can make a huge difference. The soothing aqua color helps promote a softer, more tranquil environment, while the pyramid shape is both distinctive and highly effective at dampening sound due to its additional surface area. The combination produces a great soundproofing solution that absorbs low-frequency sound and other harsh noises while fitting seamlessly into the room’s décor. 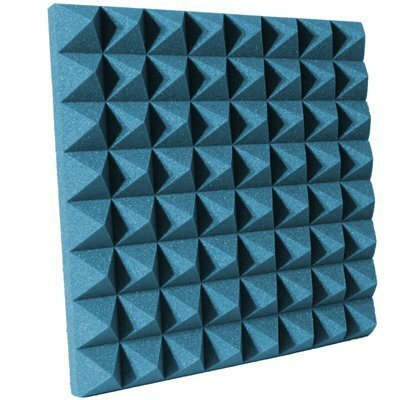 Our pyramid aqua studio foam is found everywhere from recording studios and home theaters to gun ranges and product testing facilities. We think you’ll find it to be the perfect fit for your sound-sensitive areas. 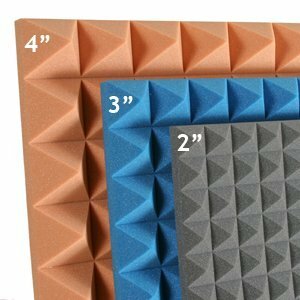 Our 3-inch pyramid acoustic foam is a 3-inch-thick sheet that’s thin enough to avoid overpowering the walls but still offer plenty of great sound absorption. The 2’ x 2’ sheets cover 4 square feet, so your case of six will give you 24 square feet of pyramid foam to work with. And of course, you can always order additional cases to expand your soundproofing ability. 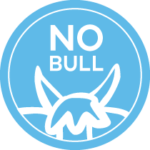 This product is high-quality polyurethane foam that’s built to last. It will not tear from normal use and retains its shape and color for quite a long time without fading or deforming. Our foam has a flammability rating of UL94 HF-1. You should keep it away from sparks and flame and always consult your local building codes for exposed materials to make sure your foam is in compliance. We know you’ll enjoy the look, feel and effectiveness of this acoustic foam, which you can install quite easily without any special equipment or tools. See for yourself by ordering a case for your studio, theater or other sound-sensitive room now.